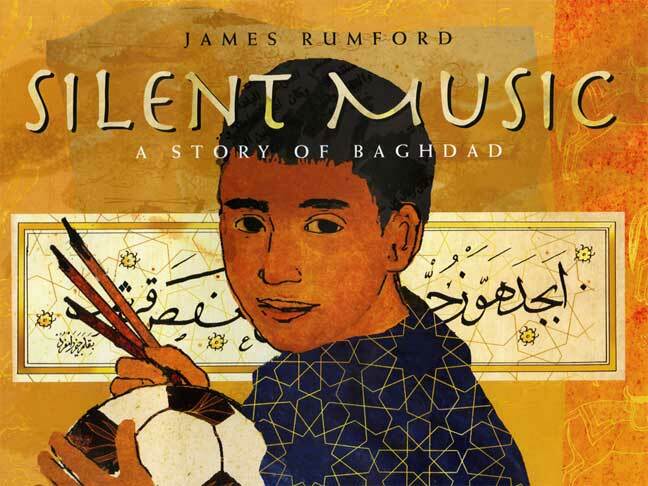 Talented author/Illustrator James Rumford is a good supporter of Saffron Tree. During CROCUS 2009, we discovered Calabash Cat and his amazing journey across the African desert and more recently, Silent Music set against the backdrop of the Iraqi war. One glance at Rumford’s bibliography is proof of his linguistic talents - from Greek alphabets (There’s a Monster in the Alphabet) to Egyptian hieroglyphs (Seeker of Knowledge) to Arabic calligraphy (Silent Music) to a Hawaiian folktale (Dog-of-the-Sea-Waves), Rumford’s books reflect thorough research and a deep respect and admiration for the languages and cultures of the world. When I finish a book, I sometimes write another book poking fun at what I've just accomplished. For The Cloudmakers, I made up a tale how the book was copied from an ancient Chinese manuscript. For Seeker of Knowledge, I conjured up a mummy who came back to life and taught Champollion how to read Egyptian hieroglyphs. I only make a few copies of these books and give them out to friends. And so, when I had finished writing and illustrating Traveling Man, the story of the travels of Ibn Batuta, I decided to write about my gourd cat from Chad and how he foolishly set off to find the end of the world. I originally called the book Ibn Batu, a play on Ibn Batuta's name (batu means 'cat' in Chad). Somehow Ibn Batu wound up on my editor's desk, got changed to Calabash Cat and became an award-winning book. Since its publication, I have been amazed at the reaction it has caused in readers. Several reviewers thought that the book was about friendship, since each animal helps the cat reach his goal. When the book won a Zolotow Honor Award, one of the members of the award committee told me how moved he had been when the eagle came and showed the cat the truth. A friend of mine, Wally "Famous Amos" of cookie renown, reads this book at seminars he gives and commencement talks he is invited to. Often he will call me up to give me his new take on the story. It's about perseverance, he says. A few weeks later: I have it! The eagle is God! But by far, the best reaction comes from children. They often do not express themselves in words, but in pictures, drawing their own animals with other animals inside. Most memorable was a boy from Samoa, who drew a turtle with geometric shapes covering its shell. Each shape, he told me, was a member of his family! It is gratifying to hear these comments. What author doesn't want his or her book to be open-ended and a point of departure for thinking? But there is more . . . . not about the words but about the pictures. I don't know why on the original gourd there is a lizard and a fish inside the cat. Perhaps the gourd tells a story. So when I put the snake in the camel and the gazelle in the whale in the book I created, I had this in mind: perhaps one day a reader will make up a story about the snake and the camel or the gazelle and the whale and tell it to me. So far, no one has thought to make up stories about the animals in the book, but I am hopeful that one day, children, who are geniuses at storytelling, will come up with some fanciful tale. I often hear from children about my books, especially after visiting a school. The letters I remember most are from those who would like to become artists or writers. One fifth grade girl recently wrote about her dream of becoming an author, because, she said, writing is like pouring a cup of words on to a page and watching them turn into ideas! This, of all the comments, best describes how I write and certainly describes what happened when I wrote Calabash Cat. But pouring words out of a cup doesn't describe the entire process. I often sit down to write about something I am enthused about, something I would like to share with kids. I think: how can I make this complicated subject one that they will understand and enjoy. In my first book The Cloudmakers, I used the metaphor of the clouds to bring mystery and excitement to the complicated story of papermaking and how this technology spread to the West. In The Island-below-the-Star and its sequel Dog-of-the-Sea-Waves, I used five heroic, iconic figures to talk about Polynesian navigation and the unique fauna and flora of the Hawaiian Islands. In Chee-Lin, I used the true story of the first giraffe to go to China not only to tell the story of China's exploration of the world in the early fifteenth century but to find a way to talk about what it would be like to be forcibly taken from one's home. Chee-Lin might be about a giraffe, but it is what happened to Africans in general. Silent Music started with Arabic calligraphy. Put another way, it started because I love languages and I love writing them. You can see this in all of the books I have written. This passion I have led me to write Seeker of Knowledge and Sequoyah. What a wonderful thing it would be to decipher an ancient tongue! What a challenge it would be to invent a writing system! I don't know why I have this passion. I grew up in a monolingual family, but my father and my grandparents had traveled. There were plenty of exotic stories, and my grandmother's house was filled with the curios and nicknacks from living abroad. Perhaps this inspired me. I don't know, but what I do know is that when I was eight years old, I saw a book in the school library called You Can Write Chinese by Kurt Wiese. I remember my mother couldn't get me to go to bed until I had copied all of the Chinese characters from the book. Since then, I have learned about twelve languages. Language collecting is a hobby, a passion, and, I suppose, a way to improve my writing. How so? The simple answer is that learning a language forces you to concentrate on meaning and this is what is essential to a writer. The complicated answer begins with the notion that learning a language opens up a whole new world of thought and this is what writers try to do every day. Writing is only part of the story for me. As I mentioned, in Calabash Cat, the words are only half of the story. The other half is the illustration. I always write the words first, then I decide how I want to illustrate the book. The first illustrations I did were with watercolor, but watercolor is too hard. One small mistake and the picture is ruined. After Traveling Man, I decided to "branch out." I began experimenting with other media. Now I am open to anything. In my last four books, I used casein in one, pen and ink in another, gouache in the third, and pencil in the fourth. I like experimenting, and each book becomes very different from the ones I've done before. In my next three books, there will be ink and pastel, computer-made images, and gouache. I sometimes worry that I don't have a particular style, but I like illustrating this way; it staves off boredom. Besides, it is fun to hear people ask, "Who did the art?" I have been using the computer more and more. For one thing, when I scan in the sketches, I can manipulate them in Photoshop and later print them out to be painted. If I make a mistake, I don't have to redo the underdrawing. Instead, I can print out a new one. I also have used the computer to create the entire book, as I did with Silent Music. Although the computer doesn't make the thinking easier, it does make "the doing." In Nine Animals and the Well, I cut out the collage-work by hand. It took a lot of time and there were countless mistakes with color and composition. On the other hand, in Silent Music, any errors were easily corrected. Each of my books presents unique challenges. Each one starts with a passion to communicate some idea or bit of knowledge to the reader. Each one takes on a life of its own, and before you know it, you feel as though you are not writing and illustrating a story but raising it. Kind of like with children. And because of this, I have no favorites among my books. They were fun to watch grow, but once grown, they are out of my hands. But what is left is the next book. This now becomes the focus of my attention, the one I love the best. "They were fun to watch grow, but once grown, they are out of my hands. But what is left is the next book." I loved that statement. Once a book is written, it is open for all kinds of interpretation and it goes away from the creators hands. The environment starts shaping it and the parents(authors/illustrators) no longer play a role! 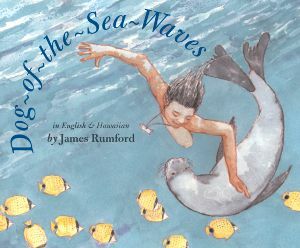 Thank you James Rumford for taking time to write about your process of writing/illustrating books. Loved the whole article. Thank you KM for bringing it to ST.
Now, I need to figure out where I can find James Rumfords' books in Bangalore. 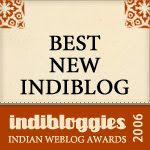 Wow, an author/illustrator interview! Thanks KM for bringing us this. Loved the depth in details the author has shared with us. What a treat! His books seem to touch upon some very profound ideas. Got to check all of them out for sure. Thanks so much , KM and James Rumford for taking the time. Satish: Absolutely! Those were my favorite words too. It was humbling to see that in words and realize how much it takes - to pour your heart into the books and then just let them free. Praba: Both Tharini and I were involved in the interviewing. We've read a couple more since the interview and it is amazing how no two books look alike in their illustrations, subject or approach. Thank You, James Rumford, we treasure your books in our hosuehold. And thank you for sharing your thoughts here with us! A wonderful interview - I really want to track down some of Rumford's books now. Fortunately The Cloudmakers and Traveling Man are in my library system so I've just reserved them both - can't wait to get them!